Arthritis is a disorder that causes inflammation of one or more joints. There are more than 100 forms of arthritis. Arthritis is caused by different factors and it commonly attacks the cartilage causing it to wear out and reduction of the synovial fluid which further cause friction on the joints. Arthritis also causes the immune system to attack the healthy body cells. The common form of arthritis is osteoarthritis. If arthritis is not treated it can lead to permanent damage of the joints leading to low quality life. Osteoarthritis also known as degenerative joint disease. Common symptoms of arthritis are stiffness, joint pain, swelling and inflammation. Arthritis has no cure and treatment is usually directed towards the symptoms. Ginger has anti-inflammatory properties which can help in reducing inflammation caused by arthritis. You can mix ginger with black pepper then take the mixture and mix it with water. This mixture can be taken three times in a day. Ginger oil can also be applied to the affected area; this can help in reducing stiffness, inflammation and pain. You can also eat raw ginger, this helps in improving the circulation of blood resulting to pain alleviation. You can also have the raw ginger alongside with food. Apple cider vinegar contains potassium, magnesium, Calcium and Phosphorus which are all helpful in keeping your bones healthy. These minerals can also be helpful in relieving joint pain caused by arthritis and removing toxic build up in the joints and connective tissues. You can mix the apple cider vinegar with warm water and honey and take the solution in the morning daily. Turmeric contains curcumin which has anti-inflammatory properties which can reduce inflammation. It is quite effective in treating rheumatoid arthritis. 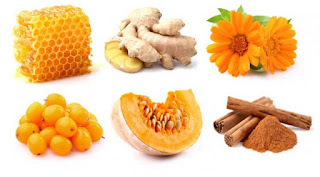 You can take numeric juice or a glass of milk mixed with turmeric powder. Alternatively you can take 500mg to 1000mg turmeric capsules three times per day before going to bed. Cinnamon has anti-inflammatory and anti-oxidant properties. Cinnamon can be mixed with honey and water then taken in the morning. A paste of cinnamon and honey can be used to massage the affected area. This can help in relieving the pain. Epsom salt contains magnesium that helps in regulating the levels of alkalinity and acidity in the body. It is advisable to ensure that your Ph levels are balanced so as not to be prone to inflammatory diseases such as arthritis which is caused by high level of acidity. You can Epson salt with fresh lemon juice to a half cup of warm water then have a spoon of the mixture in the morning and at night daily. You can also put two cups of Epsom salt in warm water and soak for about fifteen minutes. Garlic is helpful in reducing inflammation. You can mix the garlic with mustard seed oil and gently massage the affected area. Fenugreek seeds help in healing painful joints. The seeds can be soaked in water in clean water overnight then chewed in the morning. They are usually bitter but sweeten as you chew. Alfalfa seed are full of minerals that help in regulating the level of alkalinity and acidity in the body. Alfalfa is available in the market in form of capsules and can be taken daily. You can also make tea using alfalfa seeds. You can do this by adding one teaspoonful of the seeds to hot water and let it simmer for about 20 to 30 minutes. Drink the tea twice daily for about two to three weeks. The tea can also help in reducing inflammation. Cherries contain Magnesium and Potassium which are helpful in reducing pain and inflammation respectively. You can eat about 8 to 10 cherries daily alternatively you can eat frozen, caned or fresh cherries depending on the availability. Making cherry syrup is also recommended. You can boil the cherries in water for few minutes until it creates strong thick syrup. Fish oil contains omega fatty acids which have anti-inflammatory effect which can reduce body pain. You can take two spoonful of fish oil daily for effectiveness. It is advisable to take fish oil in the morning on an empty stomach. Olive oil contains oleo central which inhibits inflammatory enzymes cox-1 and cox-2. You can use the olive oil in cooking your food in place of other oils. Castor oil can also be used in place of other oil while cooking. Exercises help in reducing stiffness and reducing body weight so as not to put pressure on joints which can result to pain. Massage is helpful in relieving swelling and inflammation as it enhances blood circulation in the body. #15 Use of medication. Medication that contains chondroitin and glucosamine can help in alleviating joint pain. 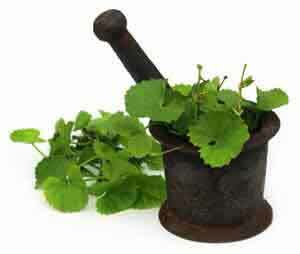 It is advisable to use home remedies for arthritis as they are no or little side effects.